By the time 1/11/18 rolled around, my enthusiasm for what was about to ensue had already reached a record high. 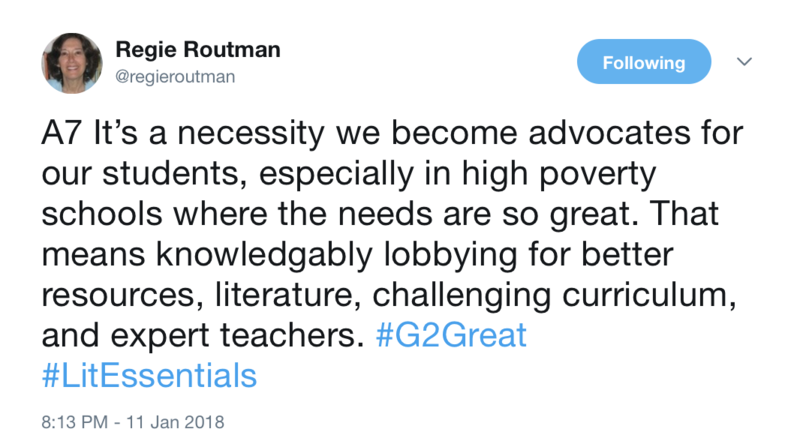 On this momentous day, Regie Routman graced our #G2great stage for the first time as we gathered to celebrate her exquisite new book Twitter style, Literacy Essentials: Engagement, Excellence, and Equity for All Learners (Stenhouse, 2018). This virtual celebration was the perfect way to follow our 3-year anniversary on 1/4/18 since Regie’s presence reignited our collective curiosity for teaching and learning. In Literacy Essentials, Regie asks us to move from teacher-as-technician dutifully following scripts, programs, and rigid data to teacher as thinker responsibly keeping children at the center of all we do. 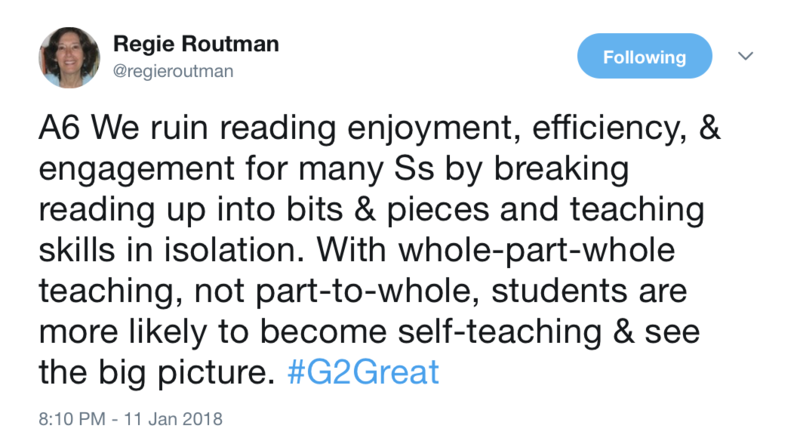 (p 3-4) As a reader, I can assure you that Regie’s words will support our efforts to reclaim the joyful teaching that rises from every page of this oh so wise book. I believe so strongly that Literacy Essentials is a Professional Must Have. 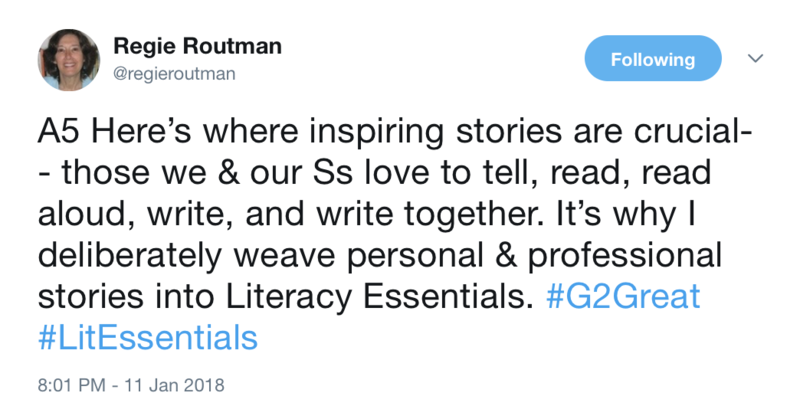 In celebration of an amazing #G2Great chat with Regie gently nudging our thinking, I perused her tweets to uncover literacy essentials Twitter style. I thought about how each fit into the three categories: Engagement, Excellence and Equity. For the sake of brevity, I narrowed her tweets to five, using two for the post with three additional tweets provided at the end. My reflections rise directly from Regie’s words with the intent to support and extend the chat while illustrating why a thoughtful read of this professional masterpiece from cover to cover is absolutely indispensable. One of the first things that struck me as I thought about Regie’s words was her reference to heart and mind celebrations from teachers’ and students’ perspective. This elaborated view from both sides illustrates the dual role of professional and instructional endeavors. This role begins when teachers are offered professional opportunities to build knowledge that will engage their mind and heart. These meaningful experiences then lead teachers to adopt a celebratory view of teaching in action. In other words, emotional engagement increases the potential for intellectual engagement while intellectual engagement increases the potential for heightened emotional engagement. This head-heart intellectual-emotional merger then begins to blossom into a persistent quest for classroom practices that become a springboard for student-centered mind and heart engagement. It seems to me that this again plays a dual role since teacher engagement can have a positive impact on student engagement and vice versa. This happens when we focus on meaningful, purposeful, productive and authentic learning opportunities where choice is a central feature. These learning experiences are not limited to the boundaries of our four walls but extend to real-world engaged learning that happens when our children leave those walls. As Regie reminds us, head-heart celebrations leading to high engagement is unlikely when compliant skill and drill is the driving force of our efforts. In order to create the classrooms our children deserve, we must first be willing to broaden our frame of reference. In too many classrooms, literacy is relegated to a ninety-minute reading block where all of our literacy efforts live. An intellectual culture extends beyond the clock so that we are able to see opportunities across the learning day that will maximize our literacy efforts. Reading and writing become the invisible thread that tie our day together and dramatically increase the opportunities afforded us to enrich the literacy lives of children within every content area. When clock time is not viewed as an instructional constraint, we also increase the potential for transfer as we are able to offer multiple exposure in varied contexts across time. Regie highlights the role of meaningful reading opportunities where choice is a key feature. 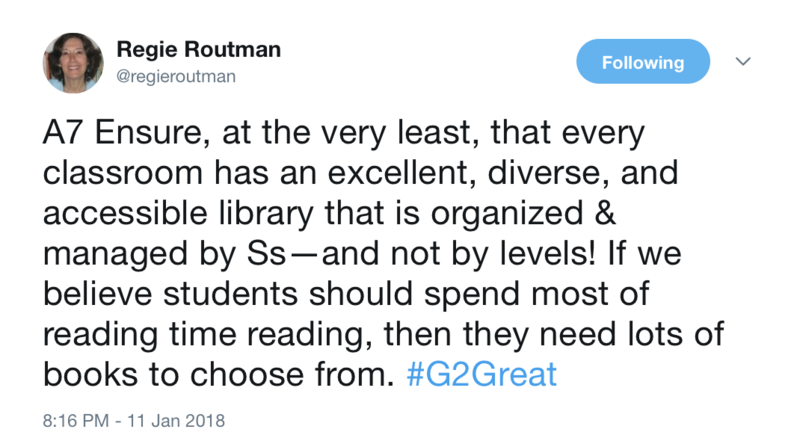 But if we have any hope of creating the life-long, comprehending, inquiring readers Regie describes, we must make an unwavering commitment to voluminous reading and writing opportunities our students need. While there are certainly many time constraints in the learning day, many of those are created by the professional choices we make. Regie eloquently reminds us that guided reading can be one of those constraints when it is emphasized to the exclusion of daily authentic reading opportunities such as independent reading and read aloud. When guided reading, or any instructional context becomes over-emphasized and used in excess, we find that there is an instructional tradeoff that limits the time students need to apply what they are learning in these instructional contexts so they can begin to assume increasing control of their own reading process. Of course, this elevates the value of providing the meaningful professional learning opportunities that will help teachers avoid this hyper focus on one area of instruction to the detriment of another. While equity is not always part of the collective conversations we have in schools, Regie emphasizes that it certainly should be. She highlights several key areas that can negatively impact our efforts to address equity and in turn the quality of the very learning opportunities we so readily offer some children and not others. 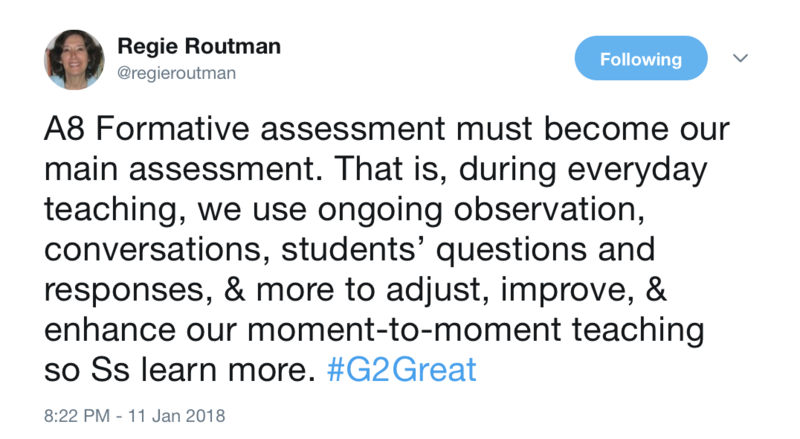 Each time we allow labels and numerical values that are based on flawed assessments to define children, we will inevitably lower our expectations and thus increase the likelihood that we will in turn narrow our practices to their lowest counterparts in an isolated skill and drill mentality. Equity means that we afford all children the same authentic experiences that occur through high quality texts and experiences that could entice our children to willingly participate in the engaged reading that will lift them as readers. This does not mean that we do not teach skills and strategies but that we focus on a whole to part to whole approach so that learning context is always rooted in meaning and purpose. In order to ensure equal access to our best instruction for every child we must alter the viewpoint of children as the haves and have nots and shift that view by seeing each child through a success lens rather than one blurred by perceived deficits. Regie’s reminder to celebrate strengths before needs illustrates this point. Equity requires us to assume a new stance as we see children in terms of what they each bring to the learning table and to use this as a support stepping stone to what they cannot yet do. We do this by creating a culture of respect for what every child brings to the learning experience as we expand our view within and beyond our classrooms by building a bridge between home and school. In an age where scripts, packages, and mandates beckon educators at every turn, Regie gives us the professional antidote to these distractions in 385 pages of wisdom. 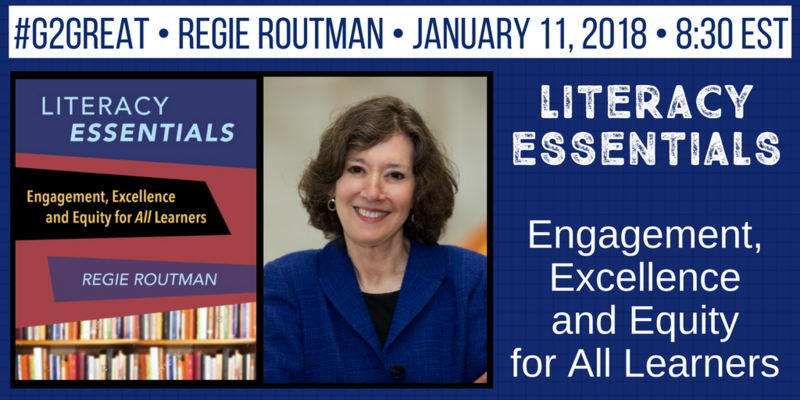 Literacy Essentials and Regie’s sage Take Action advice expertly woven across the pages of the book will undoubtedly inspire educators to refocus their efforts. When all we do is squarely centered on ensuring that every child will receive the learning opportunities they so richly deserve – well only then can we truly begin to celebrate the children we are fortunate enough to have in our classrooms. Genuine literacy implies using reading, writing, thinking, and speaking daily in the real world, with options, appreciation, and meaningful purposes in various setting and with other people. An actively literate person is constantly thinking, learning, and reflecting, and is assuming the responsibility for continued growth in personal literacy. Without hesitation, I can answer that question with one imperative. If we put Regie’s book in every school in this country, we could use it to engage teachers in powerful dialogue that has the potential to bring engagement, excellence and equity to life in classrooms everywhere. Thank you for continuing to inspire us to do this important work Regie! Regie was the first “edu-hero” that I ever met in person and she was incredibly kind and gracious. That also meant that I eagerly awaited every publication and this new book, “Literacy Essentials: Engagement, Excellence and Equity for All Learners” was no exception. There are other books dealing with engagement and excellence but I know of no other book that so masterfully takes on all Three “E’s” so powerfully. The Equity section tackles many of the assessment, resources, and community issues that other more “faint-of-heart” advocates might skip. NOT Regie. The lack of equity in education is a major problem in many regions and states across our country. Once you read this book, you will be a more informed advocate for all learners as well as a more educated teacher/administrator because Regie will have given you the tools to make educational lives better for All students!